Our partners in business with their unceasing support and collaboration. Since 2008 that smallWORLD Entertainment ltd. had built a reputation in the market, being the largest event management and team building company in Macau. smallWORLD has a talented and experienced team of professional event managers based in Macau, that will make your corporate event a memorable one! They are specialized in team building, event management and entertainment for corporate events. We are a founding member of MISE. MISE is a non-profit association that is supporting Macao’s MICE professionals working in Meetings, Incentives and Special Events. Main objectives include generating business opportunities for its members; promoting Macao as a MICE destination; attracting events from the international arena to be held in Macao; and providing education and training to the MICE industry. 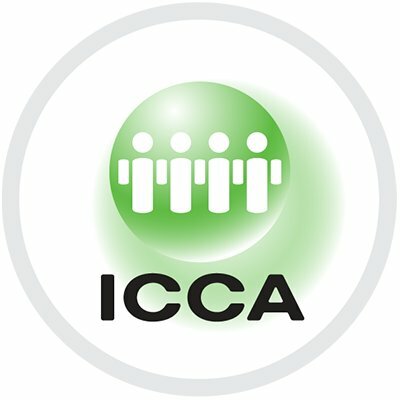 ICCA – the International Congress and Convention Association – represents the world’s leading suppliers in handling, transporting and accommodating international meetings and events, and now comprises over 1,100 member companies and organisations in almost 100 countries worldwide. Since its establishment 55 years ago, ICCA specialises in the international association meetings sector, offering unrivalled data, communication channels, and business development opportunities. ICCA members represent the top destinations worldwide, and the most experienced specialist suppliers. Site is a global network of meetings and event professionals dedicated to delivering business results. The highest levels of workplace performance are reached by individuals and teams that are highly motivated. Motivational experiences are a powerful business tool to reward and unlock human potential to achieve corporate objectives. Site is the only global authority connecting motivational experiences with business results. The network of Site professionals brings best-in-class solutions, insights and global connections to maximize the business impact of motivational experiences regardless of industry, region or culture. Site serves as the source of expertise, knowledge and personnel connections that will catapult and sustain professional growth, and help build the value of extraordinary motivational experiences worldwide. EHB Solutions specialize in accommodation marketplace, congress and events management in Asia. No matter the size or the difficulty of the event, EHB Solutions offer a one-stop solution for congress and event organizers needs, ensuring maximum client revenue with the most advanced technology and our ability to provide solutions that perfectly fit our client’s needs. The sister company of DOC DMC Macau. Based in Lisbon, Portugal. DOC DMC – services, events & wine organizes and manages wine events, projects and marketing of wine, wine tours and much more… Targets mostly European countries. Since December 1995, that The Wine Society of Macau works to promote the appreciation and moderate consumption of wine in Macau, by organizing wine tastings with wines from all over the world. DSL Lawyers is our legal consultant. DSL Lawyers is a law firm based in Macau specialized in Corporate Law, IP & IT, Property, Banking & Finance, Litigation and also provides legal services in Insurance, Construction, Tax and Employment. DSL Lawyers guarantees the legal expertise in a multicultural environment, with a highly experienced and professional team.